After last years huge success reading My True Love Gave To Me in which we read a story a day for half of December, we decided we’d find another festive short story collection to continue the tradition. We announced our read-along at the end of November which you can see HERE if you missed it! What would make our read-alongs better we thought? Early this year when we did our read-along for A Change Is Gonna Come, we hosted a blog tour in which we could promote the wonderful message for the book even further. It ended up being so much fun getting other people even more involved that we decided to do it again! I’m excited to see what these wonderful blogs come up with on their post days and what everyone thinks of the stories. We will be keeping you up to date on our Twitter account (@TLCCBlog) with who is posting, our updates and what we are reading that day, so make sure to follow us! 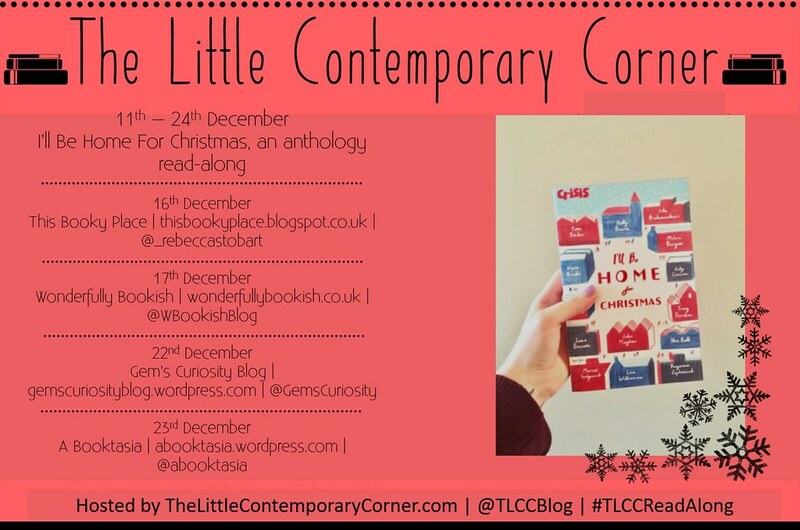 Grab a copy of I’ll Be Home For Christmas and join in our read-along with the hashtag #TLCCReadAlong to chat to everyone else!